In recent years, there have been a very large number of scientific publications concerning various aspects of vitamin D, ranging from physiologic to therapeutic studies. However, despite the multiple discoveries made in this fast-growing scientific research area, numerous issues still remain unresolved [1, 2]. Examples include, though are not limited to, the definition of hypovitaminosis D (this term is used to cover cases of both insufficiency and deficiency), i.e. 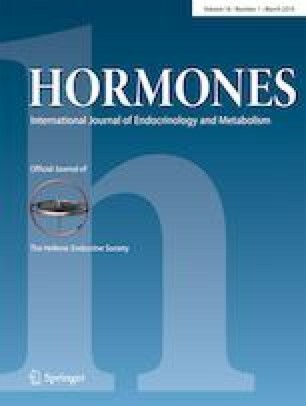 20 vs 30 ng/mL; the relationship between 25(OH)D and parathyroid hormone (PTH) (linear vs non-linear and related point of inflection) [3, 4, 5]; the referent that should be considered (total vs free determination) ; and the utility of screening for hypovitaminosis vs universal supplementation . This work was presented at the “1st Mediterranean Expert meeting on Vitamin D” held in Thessaloniki on September 29th, 2017.